1. Sorting added to the lists..
2. Most coins now have a small tooltip. You must mouse over on the name of coin to see some words which describe this currency. This works on home page. 1. 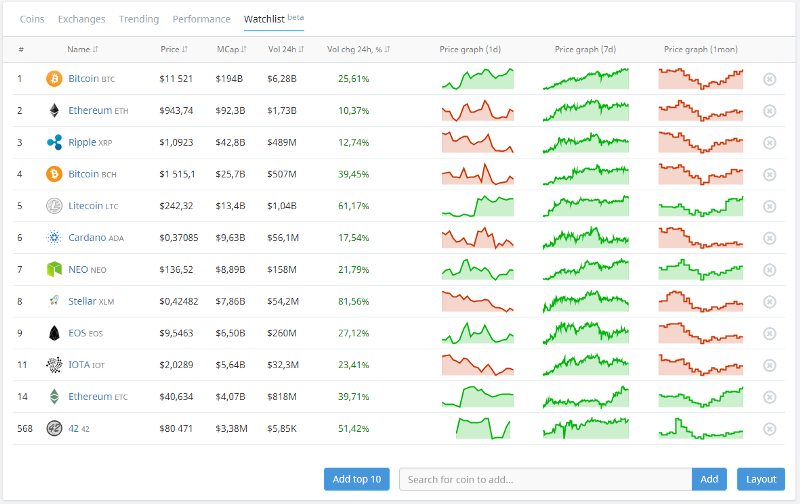 Binance - 208 markets. 2. OKEX - 108 market. 3. 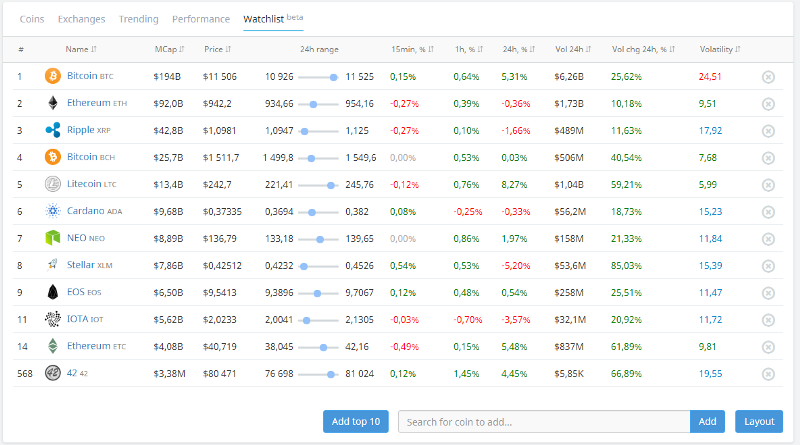 Huobi - 84 markets. 4. Liqui - 174 markets. Thank you for your attention! Your feedback and suggestions are welcome. 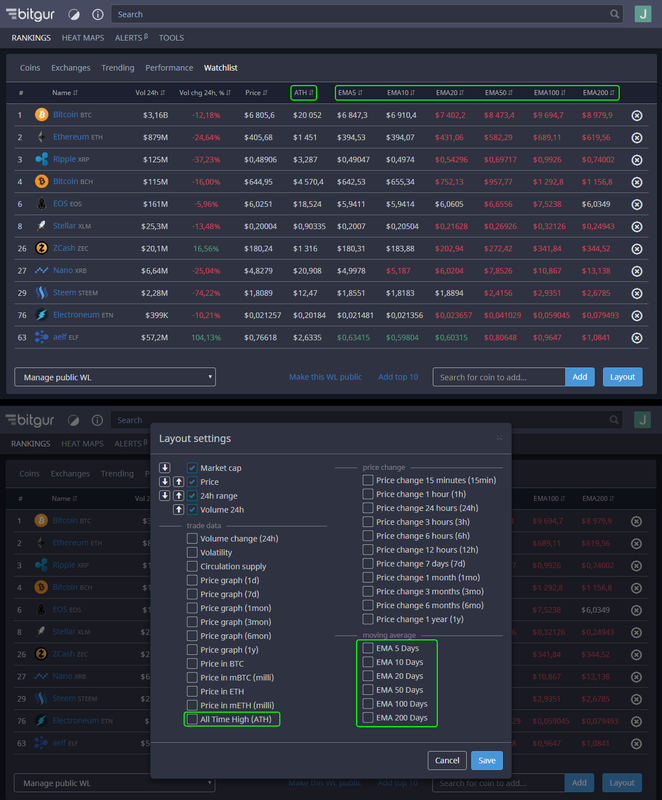 We added new exchanges: CEX, COSS and WEX. There are new indicators on Bitgur Customizable Watchlist. 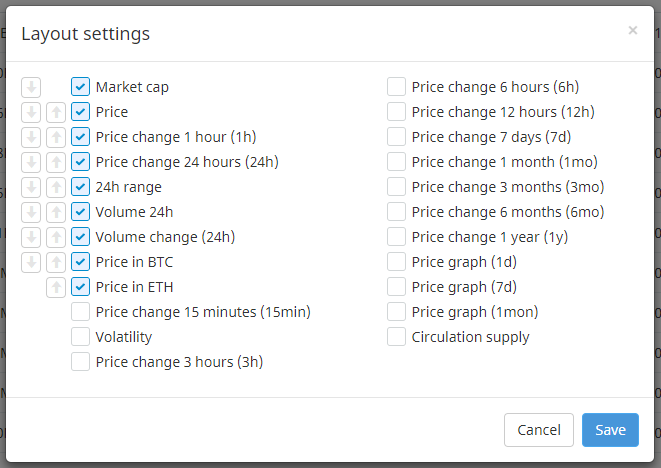 Now you can add ATH and moving averages.